1:20 hours away from the coast. This tour has something fun for everyone and is perfect for families that have young kids. First we will zip line 8 cables and do some rock climbing and rappelling. Next we have fun on the water while rafting a gentle river with exciting waterfalls and ending the day with jumping in the water from rocks. 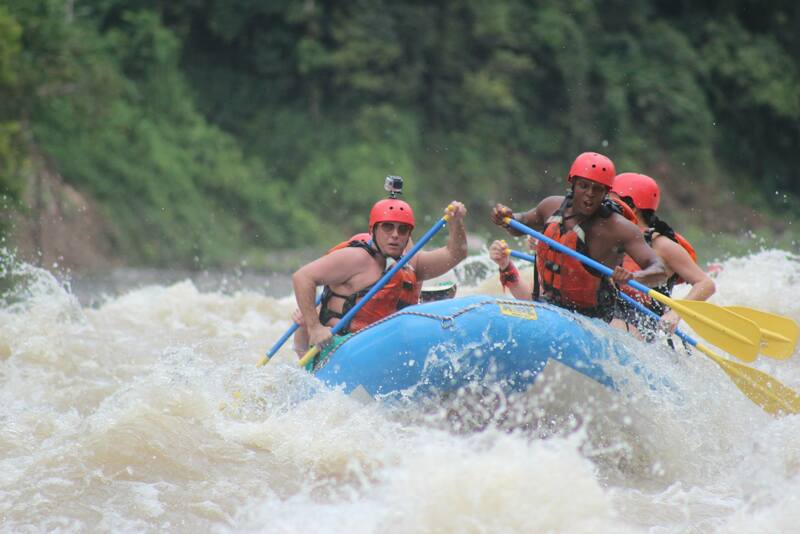 An hour and a half of rafting including lunch, transportation and guide. This is a 2.5 hour tour $145 per person. Located 2:15 hours away from the coast. This awesome tour includes lunch, transportation and tour guide. Starts around 7:00am and ends around 4pm, $145 per person.